On our travel club’s group tour to the western national parks of the United States, we photographed the world famous Bryce Canyon on one of our first stops. This picture was taken with a telephoto lens overlooking one of many giant “natural amphitheaters” which makes this park so famous. 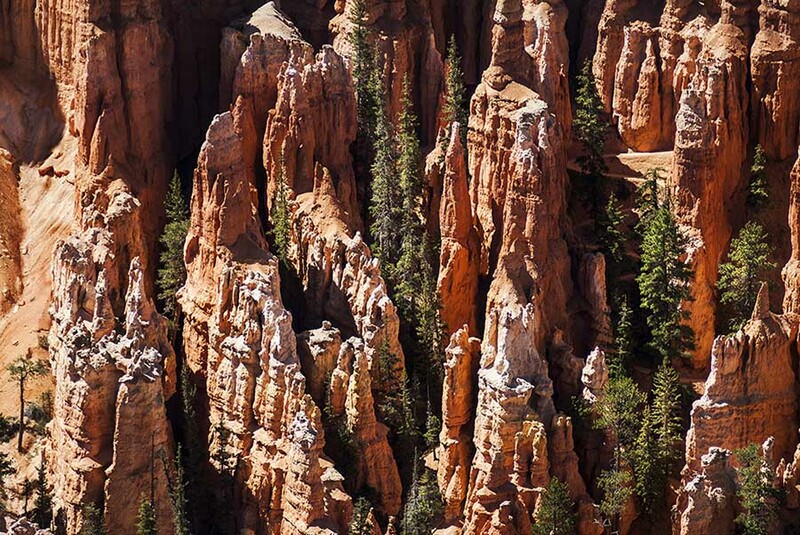 The other element of Bryce that visitors flock to see are these geological structures called hoodoos. They’ve been formed over thousands of years through erosion and weathering due to frost. We love how this image shows the trees thriving in between the cracks and crevices of the hoodoos. There are so many amazing hikes and pictures to be taken in Bryce Canyon so be sure to join us on our next group tour here!